Linh An pagoda is located in Nam Ban townlet, Lam Ha district. 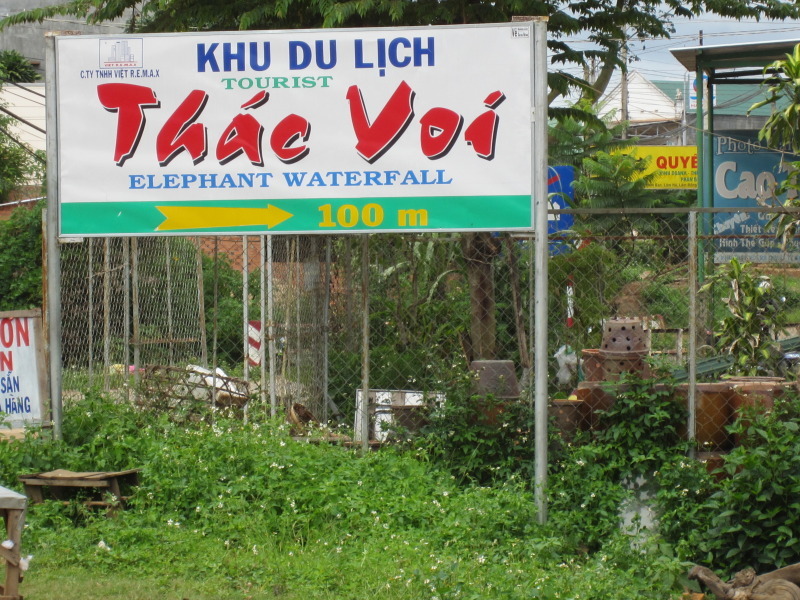 To Nam Ban townlet, visitors make their way to Ta Nung Commune, passing Cam Ly waterfall. 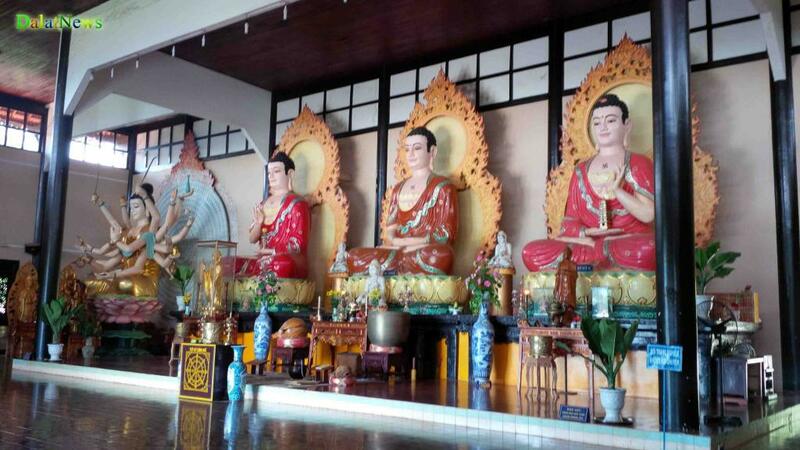 Linh An pagoda, covering an area of 4 hectares, was established in 1993 by Mr. Thich Tam Vi. 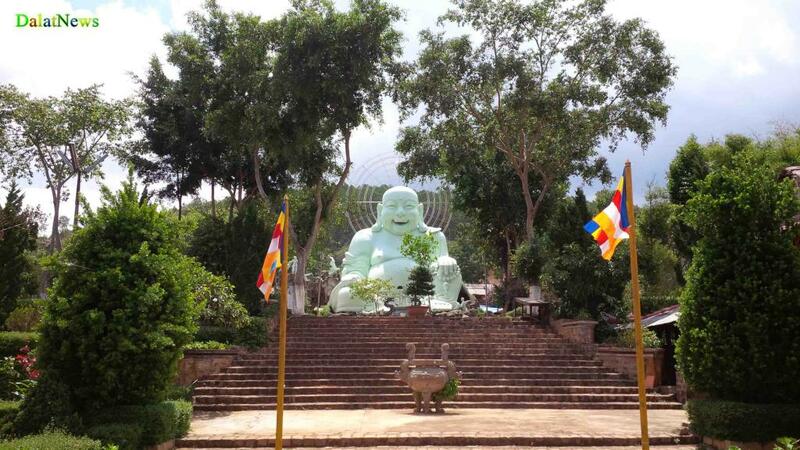 Linh An pagoda, 27 km from Dalat city, has become an attractive sightseeing to many visitors, especially foreign ones who fancy adventures, and enjoy exploring the East culture. Making their way to Linh An pagoda, the 2nd Truc Lam Zen Monastery at Dalat city, visitors have to pass zigzag patches, bumpy Pine Hills in odd shapes, and drive through Nung people’s villages where tea and coffee are grown popularly. From the provincial road 725, Linh An pagoda appears as the head of a dragon; The pagoda is located at an elevation of 1,080m above sea level; there are green pine tree hills in the back of the pagoda and Elephant waterfall in front of it; therefore, the air here is cool year around and quite peaceful. 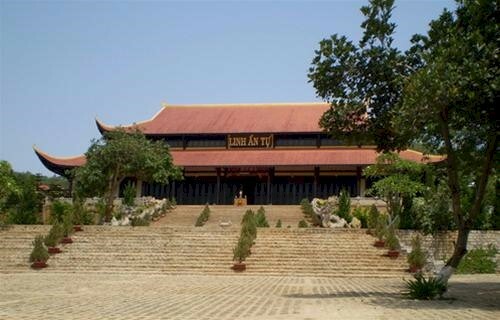 Despite of its location, Linh An Pagoda still capture visitors’ interests because of its modern architecture in harmony with nature, and the 4-hectare area is covered by forest trees, such as gum trees, crap myrtles, banyan-trees, etc. visitors coming here has given an exclamation of great admiration for Mr. Thich Tam Vi, who nicely chose a conveniently situated position to build the pagoda for Hanoi people, settling in Lam Ha (Lam Ha is derived from Lam Dong and Ha Noi). A sanctuary, built in 1999, one of the most imposing places in Linh An pagoda, is 1,400 m2 wide and has its roofs covered with red tiles. One of the highlights of the sanctuary is two 20-meter long cement dragons forming a stair leading to the shrine. 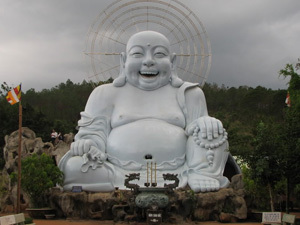 Moreover, there is a statue of Di Lac Buddhist being 12.5m high, 6.5m wide and 9m thick in front of the sanctuary. A statue of Bodhisattva Kuan-yin placed in front of the sanctuary was built in 1994. A pure shrine in the waterfall next to the forest was built in 1994 by Mr. Khai Son. Also, there is a statue of the Great Buda (built in 1994) and Ty Ni Garden behind the sanctuary. There is a long hill forming a great wall covered by green pine forests where the wind is day and night whistling. Bo Tree house is a pure land for Buddhist trainees gather and learn doctrine. Nevertheless, the pagoda campus combines with the superb Elephant waterfall creating a mysterious place. 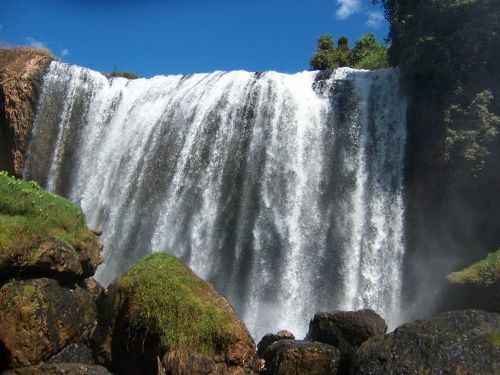 This 30-meter waterfall has mysterious black rocky blocks which look likes an herb of elephants bathing under the water. The sound of waterfall and the sound of the bell help pilgrims have peace in mind when they once visit Linh An pagoda, and they cannot forget the magnificent majestic beauty of the pagoda in harmony with natural charming scenery when they leave. At the fifthteenth-day of lunar months or the first day of lunar months, a great number of local Buddhists flock to the pagoda. Every day, in the morning and in the afternoon, all the monks say the blessing. Besides, after hard-working days, Buddhists go to the pagoda to forget sorrow and hardship. It’s said that the national soul is protected under a pagodas roof and that Buddhism is long lasting ever from generations to generations.